Getting a preschooler to eat healthy food can be tricky. As a busy mum making different meals is not going to happen so I find ways of making what we're eating into something my little one will enjoy too. Above is a picture of one of the salad faces I've made for Blake. 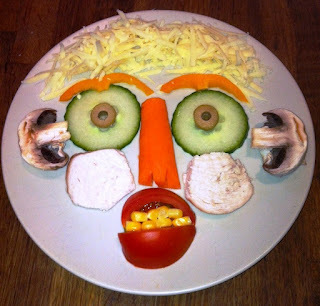 Whenever we have salad if I turn his into some sort of face suddenly it gets eaten. Ultimately it's more fun to say eat your eyes instead of eat your cucumber. 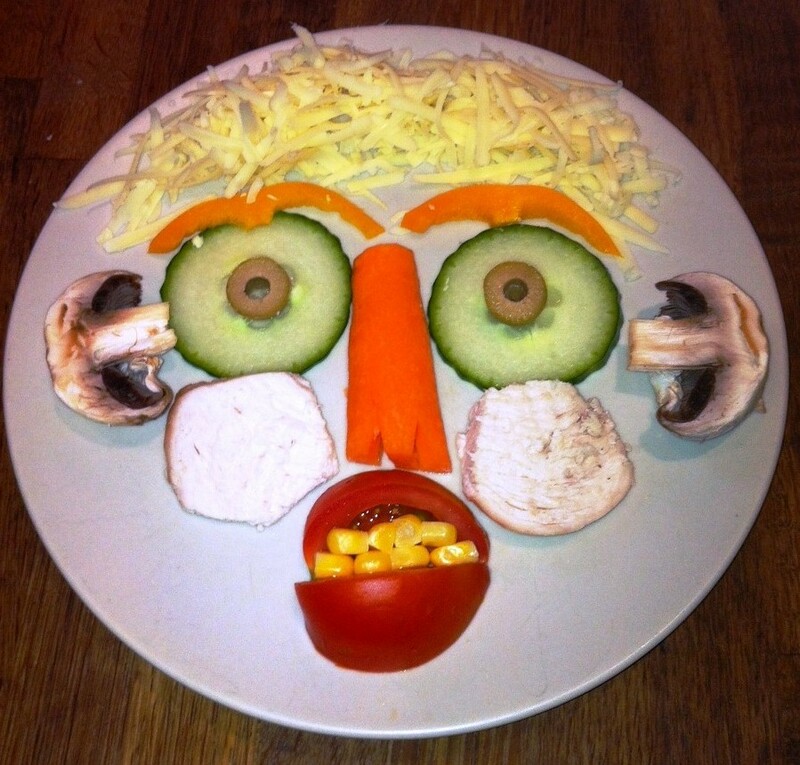 It doesn't just end with salad faces though, you can use vegetables or fruit.